Have you accidentally deleted some important text messages in your iPhone? We use text messages to communicate with our family friends and even business partners, so there may be some very crucial messages that you may need for a case, a negotiation or other purposes. No more panic and worries because these deleted text messages are not removed from your iPhone permanently. 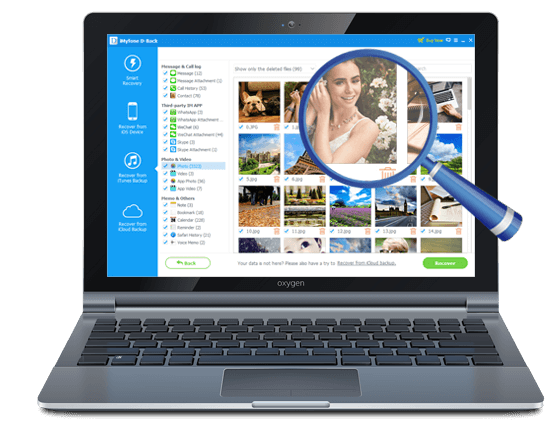 It only takes a few steps and minutes for you to retrieve the lost messages by using a third-party tool. Being recommended by Cult of Mac, iMyFone D-Back has been considered as one of the best recovery tools on the market. If you have been wondering, how to recover deleted text messages from iPhone? 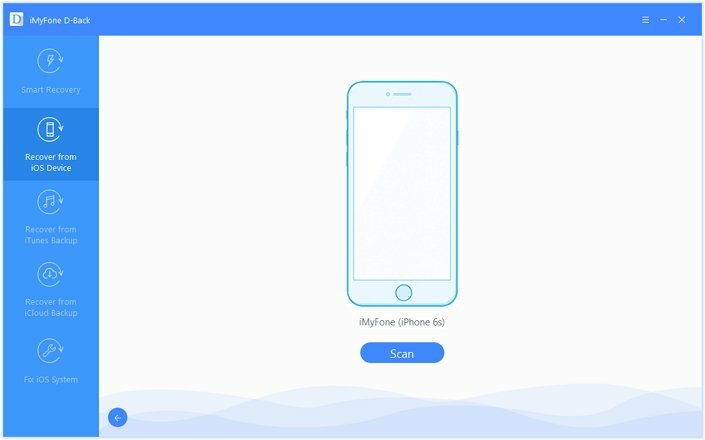 Here is a step by step process to get the lost messages from iPhone. First of all, you need to download iMyFone D-Back to your Win or Mac system before you start the process of recovery. You need to launch the iMyFone D-Back on your computer. 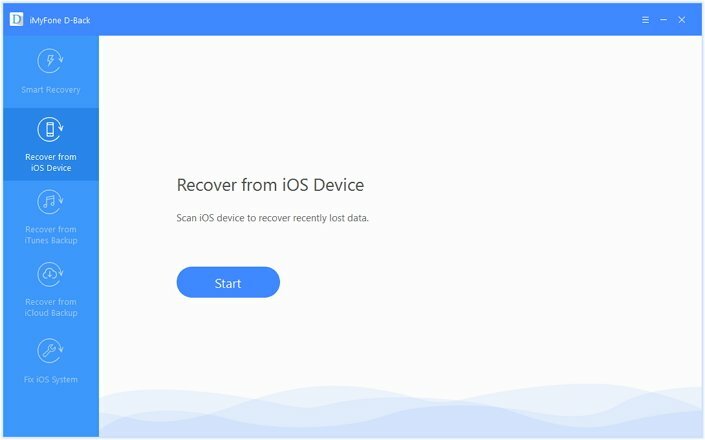 To begin with, you will have to choose from the options "Recover from iOS Device", "Recover from iTunes Backup", "Recover from iCloud Backup" or "Smart Recovery." Here we take "Recover from iOS Device" as an example. The steps for the other options are similar. You will then have to select Message as the data type for the recovery. Click the ‘Next’ button to proceed. iMyFone D-Back will ask you to connect your iPhone. Once it is detected, the program will start to scan the device. 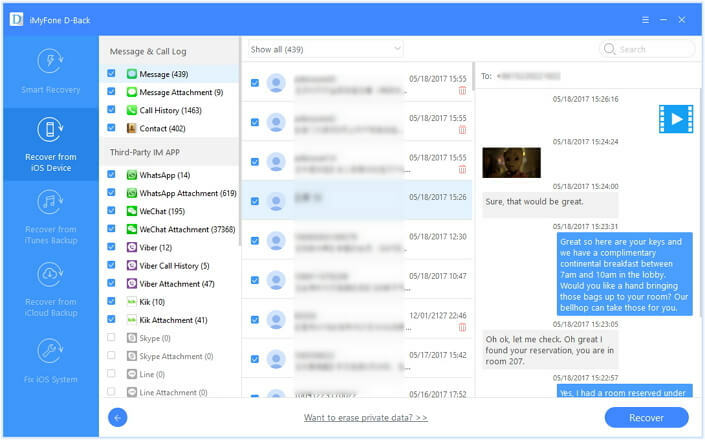 Once the scanning by iMyFone D-Back is over, you will be able to see the message threads that are deleted and you can pick out the messages that you want and check the boxes beside the messages. Finally, click "Recover" button to store the messages on your computer. On the whole, recovering the deleted text messages from iPhone is quite a simple and easy process that would take just few minutes. 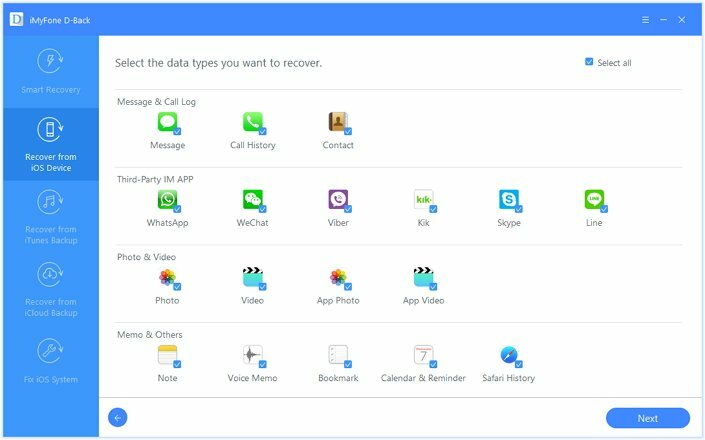 Now download and install iMyFone D-Back iPhone messages recovery or iPhone messages recovery for Mac to get deleted messages back on iPhone.